Ah, France. I have become aware of how fascinating that country is to so many people from around the world since the day I first started my blog. My posts related to French cuisine or tourism always gather more reactions, and so do the Instagram pictures I snap when I’m in Paris. Of course, the reason that I write about France is because I’m a Francophile too. How can a French-Canadian be a Francophile, you might ask? Well, the France bug may bite us even harder because of our history, our mother tongue, and a curiosity to learn where we come from. To make the wait between each of my trips to my mother country more bearable, I enjoy collecting and reading memoirs written by expats who visited or lived in France for a period of time. 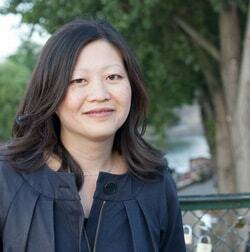 The most recent of such tales is Mastering the Art of French Eating, written by food and travel writer Ann Mah. Ann is married to a diplomat, Calvin, and they were assigned to Paris for three years starting in 2008. Paris was Ann and Calvin’s dream post, but unfortunately, their fairy tale was short-lived: they had barely dropped their bags in Paris when Ann’s husband was sent to Iraq for a year. Arriving with the romantic plan of exploring a new city hand-in-hand with her French-speaking husband, Ann suddenly found herself navigating a new culture on her own while trying to keep her worry and loneliness at bay. Where did Ann find her salvation? Why, in food, of course! For a year, Ann traveled all over France to learn everything about 10 of the country’s most famous culinary specialties, from Brittany’s crêpes and Haute-Savoie’s fondue to Burgundy’s boeuf bourguignon and Provence’s soupe au pistou. In her book, she covers one dish per chapter, providing little known historical information and tales of her adventures in each region, allowing her readers to meet the fascinating characters with whom she crossed paths along the way. Each chapter is also crowned with a recipe, and she makes it possible to recreate each dish at home in an authentic way, even if you’ve never tasted the original before. Ann provides tips for success and even substitutes for ingredients that might be hard to find outside of France. Intertwined in this culinary tale are touching tidbits of Ann’s evolving life in Paris, from her lonely evenings and long-awaited Skype calls with her husband to cultural blunders (bien sûr), shining a light on a more realistic portrait of diplomatic life. How can one be sad in Paris? The charm of her memoir resides precisely in the heart-wrenching contrast between her dream life in the gorgeous city of lovers and the deep loneliness that she finds herself ironically stuck with shortly after getting there—a solitude she’ll slowly climb out of, one dish at a time. 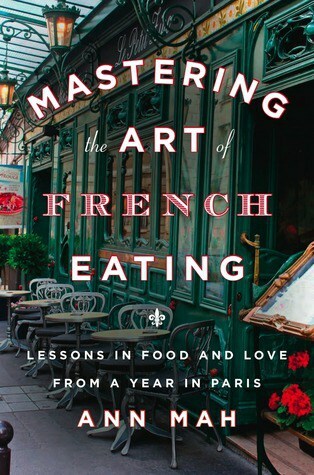 Mastering the Art of French Eating is a book that every Francophile, food lover, and travel buff should read. Whether you’ve been to France or you’re still dreaming of visiting, whether you’re a French cuisine expert or a complete novice (hey, I won’t blame you if andouillette hasn’t made its way to your plate yet), you’ll be charmed by Ann’s tale and close the book realizing you’ve learned much more than you expected you would. Mastering the Art of French Eating is out now! Pre-order your copy, or learn more about the book through Ann’s website. To whet your appetite, I have asked Ann to answer a few questions about her trips to Paris, her favorite dish from the book, and her current life in New York City with her husband and newborn girl. Take note: she even graciously provides us with her favorite addresses in Paris! Psst… Don’t miss the chance to win one of two copies of Ann’s Mastering the Art of French Eating. The giveaway is now over. Thanks for entering! What is the very first thing you do every time you get back to Paris? I always get up early on Sunday morning to go grocery shopping. I live near the rue Cler, which is very touristy, but on Sunday mornings the stores are filled with locals doing their rounds before everything closes at noon – it feels very neighborhoody and convivial. 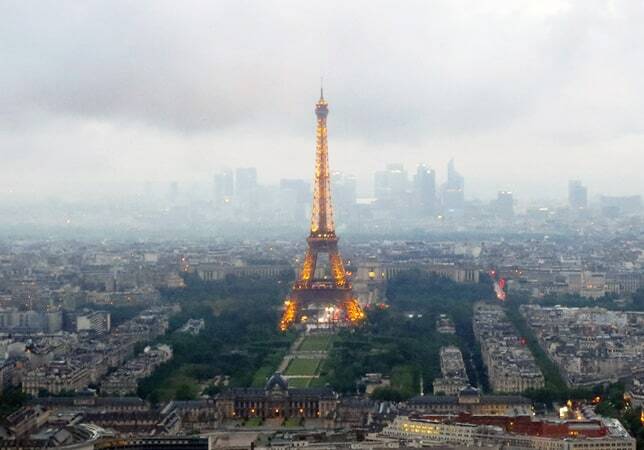 What is the one thing you miss most when you’re not in Paris? I miss taking long walks on the weekends, from north to south, Right Bank to Left Bank, admiring the city’s beauty. Also, I really miss my local fromagerie. Which French specialty not included in your book do you wish you’d get the chance to go research and taste, and then recreate at home? I’d love to spend more time in the Basque region of France, and learn all about piperade, a local dish of stewed tomatoes, peppers and piment d’Espelette that’s delicious with scrambled eggs – it’s perfect for a weeknight meal. What is the one recipe you shared in your book that has become a staple at home, one that you make over and over again? I make a big batch of Provençal soupe au pistou every summer. As I learned through my book research, it’s a celebration of the season, with its bounty of fresh vegetables – courgettes, green beans, bunches of fragrant basil. I wish fresh shell beans were easier to find in the States, but if I can’t find them, I use dried beans. Right now, you share your time between two of the best cities in the world: Paris and New York City. What makes them different in your eyes, and why do you love them both so much? To me, Paris and New York are like the yin and yang of my personality – the pleasure of long, lingering meals versus the part of me that craves a “to do” list and a pen to check things off. Where in the world would you like to live with Calvin (and your little girl!) next? Anywhere with an appreciation of the connection between food, place, and history – which is, I suppose, everywhere! For the benefit of all those who will undoubtedly want to book a trip to Paris after reading your book, would you kindly share a few of your favorites? Boulangerie: I have a soft spot for Poîlane, since I used to live around the corner. I breakfasted daily on the walnut rolls – and I love their flaky apple tarts, especially if you catch them warm from the oven. Pâtisserie: Pâtisserie des Rêves for their Paris-Brest and tender, vanilla-scented madeleines. Fromagerie: Marie-Anne Cantin in the 7e, where they take cheese so seriously, I often find myself conducting the transaction in a whisper. Chocolaterie: Jean-Charles Rochoux in the 6e makes one of my favorite gifts – a wheel of chocolate that resembles a tête de moine cheese. Like the cheese, it comes with its own paring device so you can create lovely flower-shaped shavings. For more information about Ann’s favorite places in France, don’t miss her new Where to Eat in France blog series. I have two copies to giveaway! To enter the giveaway, leave a comment telling me what’s your favorite French dish using the Rafflecopter widget below. Get many more entries by completing all the steps! The giveaway is open to all US and Canadian residents and runs until Wednesday October 2nd, 2013, at noon (12 p.m. EST). Good luck! The giveaway is now over. Thanks for entering! Merci! to Penguin Group for providing two copies of Ann’s book for the giveaway. That would have to be soupe au pistou! It has all my favorite flavors and a constant reminder of laid back summer holidays. I can’t wait to read Ann’s book! Beef Bourgogne…or just an amazing espresso with a sticky croissant on the sidewalk in Paris. My favourite French dish is quiche. Bisque!!! Her first book was AMAZING and just filled me with so much joy. I can only imagine how incredible this one will be! Coq au Vin and various Quiches. I was in elementary school in the 70s, when crepe pans and fondue pots were all the rage. Though I’ve never learned to love fondue (perhaps because of the poor American version we always had), I do love crepes — especially filled with apples and drizzled with salted caramel sauce! Such a simple dish, but it looks and tastes elegant. my fave dish is the french savory cake, ham, cheese and olives Killer! Coq au vin is great! A French dish I grew up with and absolutely love is Ratatouille. Nutella crepes and champagne- because that’s what my husband and I ate to celebrate getting engaged under the Eiffel Tower! Crepes – For breakfast, for lunch, for dinner and for dessert! While I love all sorts of French fare, from coq au vin to coquilles saint-jacques au muscat, my favorite dish is escargots en croute. Garlic, butter, puff pastry … mm-mmm! I’ve enjoyed escargots since I was a small child (not unusual for children in France, presumably, but definitely so for a little kid in North Dakota). My favorite dish is sole meuniere! With a classic macaron for desert! I love most French food but my favorite has to be Beef Bourguinon. My fave french dish is pate campagne. Can’t get enough of it, so addictive with a crusty baguette and crisp tang of cornichon. My favorite French dish is Coq au Vin. I think I could eat it every day. My favorite French dish is pot au feu. I’m with Lauren: I could eat mussels and frites every day of the week! I’m a novice when it comes to French food, but crepes are so delicate and versatile they have to be on my list. Very difficult to choose my favorite French dish but it is probably steak tartare! Hi, neighbor! I reside in Sacramento and would love your thoughts on where in the area (other than your own kitchen) you’ve found the most authentic French meals. Does one need to trek to SF or do you know of something nearer? I love mussels and frites. 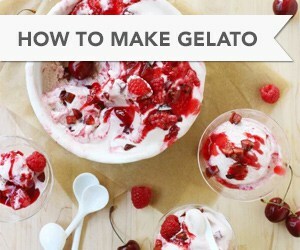 Perfect combination of salty, creamy, crunchy, deliciousness!